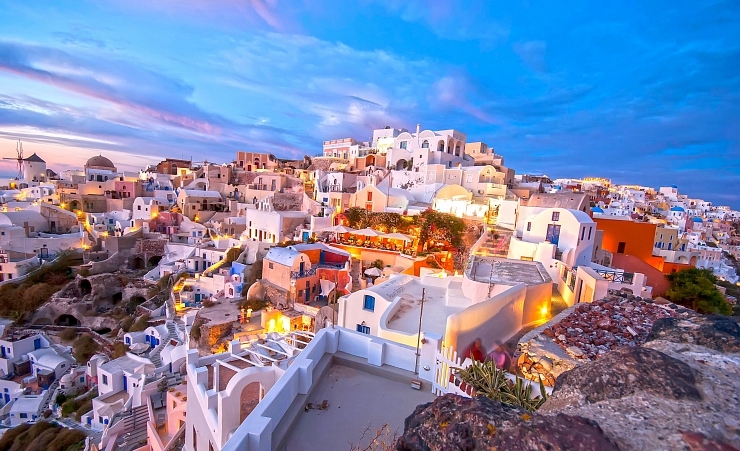 With its white-washed houses, blue-domed buildings and vivid sunsets, Santorini has earned its reputation as the island of romance. The added draw of volcanic, black-sand beaches, lively nightlife and turquoise waters has proved a fail-safe combination that continues to lure visitors to its shores. The rain, winds and cooler temperatures of December to March mark-out the off-season, but at least the crowds and reduced rates at these times will be more alluring. The suboptimal weather does, however, makes it more difficult to enjoy this stunning island, so the warmer, drier window of May through to September is better, with ideal climates arriving from April to June, and September to October. Taking place in mid-August, the Ifaisteia Festival is the main event in Santorini. Replete with traditional dance, concerts and a showstopping fireworks display it’s a great event to attend. The ruins of the ancient Minoan town of Akrotiri, discovered in 1967, is a town that was preserved by ash from a volcanic eruption, which you can walk around and explore 40+ building that date all the way back 1613 BC. Akrotiri isn’t famous for its history alone – the vast red and black cliffs that frame Red Beach provide an incomparable backdrop. And the arid climate is also great for sun worshipers who flock to Perissa and Kamari beach, the latter of which has a Blue Flag status. 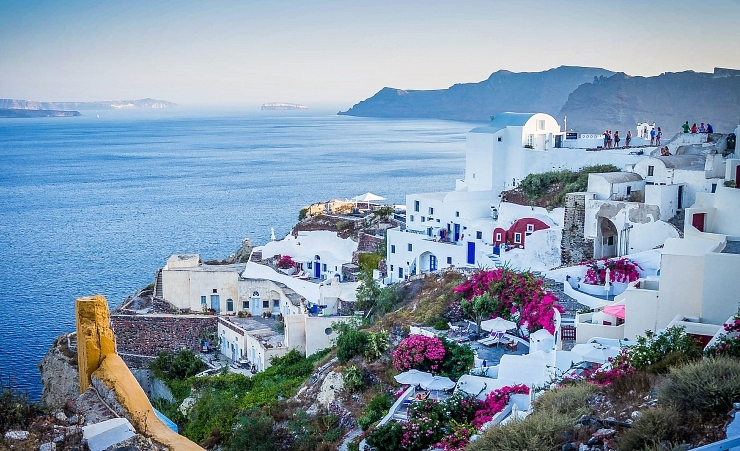 Some of the best dining options available are in the main towns of Fira and Oia, and it is with good reason that Santorini as a whole is gathering a fine reputation for excellent food and wine. Speaking of which, some of the oldest vineyards of the country can be found on the island. The settings of Santo Winery, near Pygros, is hard to surpass, while the cellar tours and tasting sessions offered by the Canava Roussos Winery in Kamari are fantastic. The nightlife is mostly upstaged by the cafes and waterfront restaurants that offer sunset views over the caldera, but a party or two can be had by wandering along Erythrou Stavrou lane in Fira. Koo Club and Enigma are two of the best hot-spots for gettin’ your groove on. One of the famed Cyclades islands, in the Aegean Sea southeast of the Greek mainland, Santorini has been forever shaped by its volcanic past. An eruption in the 16th century BC had an irreversible impact on this rugged island’s landscape, with a portion of island collapsing into a caldera which is now under the sea, and volcanic ash also froze in time the ancient Akrotiri. 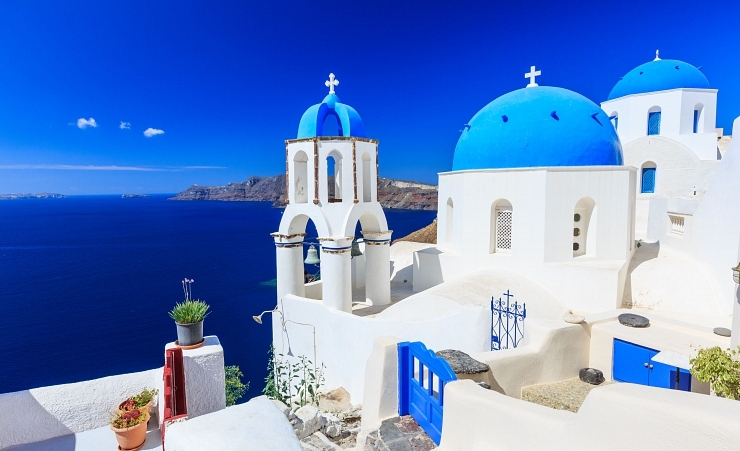 Santorini isn’t just all-natural scenery however, with traditional whitewashed buildings, vineyards and fields you can also get a piece of traditional Greece. If you still haven’t expelled all your energy after taking in the black-sand/red cliff beaches, ancient sites, and wineries, there’s plenty of other activities to keep you interested. The boat tours around the caldera or to an active volcanic island is one such way. Or how about the short 3km hop from Perissa to Perivolos Beach, where water sports including scuba diving, wind-surfing and jet skis are yours for the taking. During high season, taxi availability becomes an issue, so you may be best advised to book in advance. To avoid this, there is a fairly inexpensive public bus service you could use instead or utilise one of the boats that run between the major coastal towns. Renting a car, or the more popular ATV, will let you take matters into your own hands and explore every part of this spectacular island.